Hours of fun learning hand eye coordination and the basics of physics. 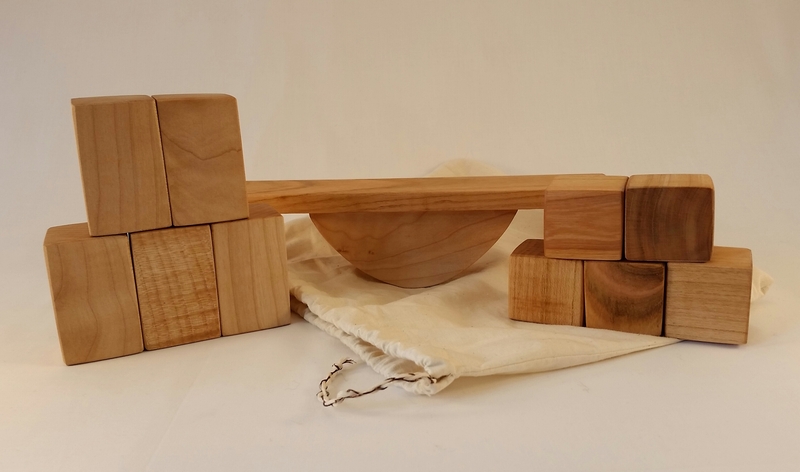 Engage your toddler or preschooler in active play with this Balancing Toy and Block Set. 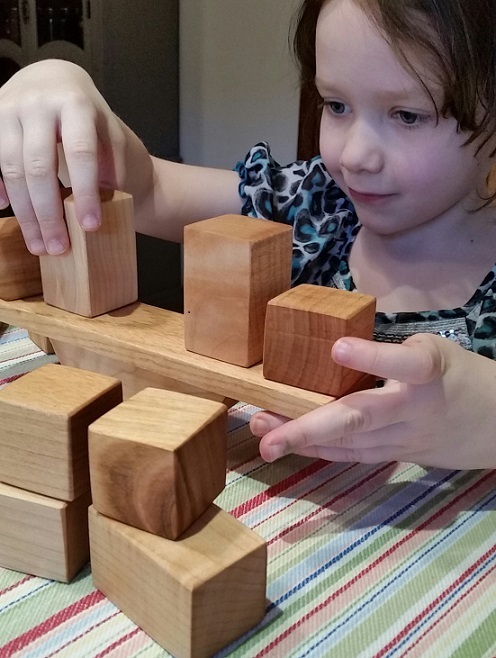 Your child will develop a basic understanding of balance with two different shape blocks. 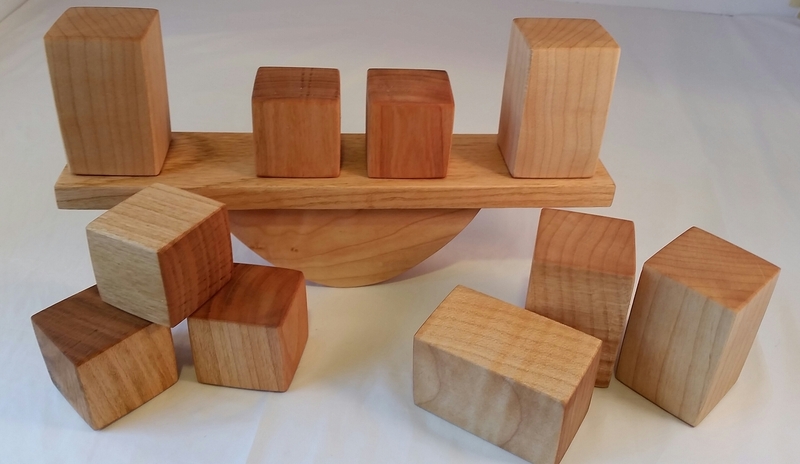 This beautiful toy set includes a balance, two sizes of blocks (5 of each size) and a muslin drawstring bag for easy storage.. Each piece is handcrafted out of Maple or Cherry hardwood and is coated with non-toxic food-safe Mineral Oil. 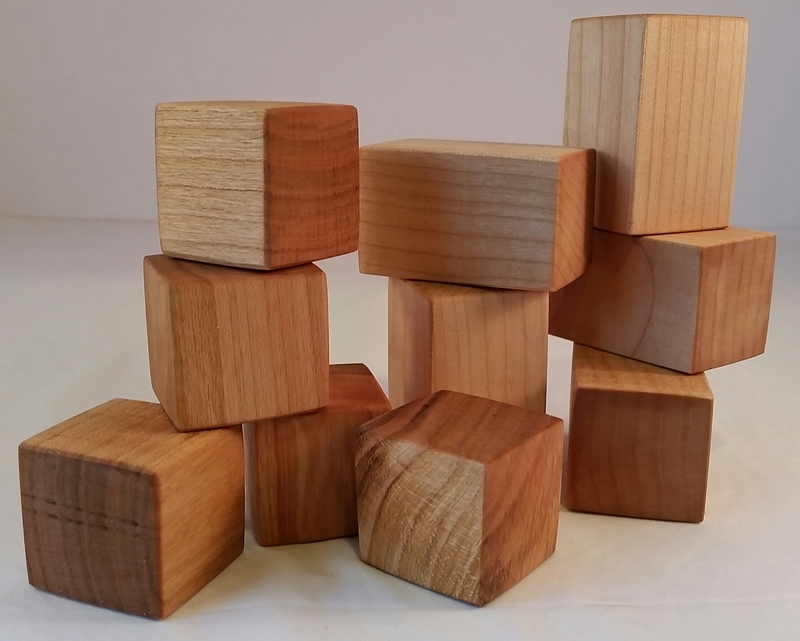 Blocks measure 1.5 x 1.5 x 1.5 inches and 2.5 x 1.5 x 1.5 inches so even little ones can play with this fun toy. Comes with a muslin drawstring bag for easy storage. Made in the USA with Maple and Cherry Wood. Finished with non toxic food-safe Mineral Oil.